The process of estate planning should extend beyond the distribution of financial assets. Before you expire there may be an interim during which you are incapacitated. You may be unable to make and communicate your own decisions at that time. Is this a pleasant proposition to consider? Of course not, but it is a stark reality. Burying your head in the sand while you hope for the best is really not a very responsible approach. Incapacity planning is part of the equation when you want to become prepared for the contingencies that you may face as an elder. Depending on your specific situation there are various different steps that could be taken to prepare for these eventualities. Different people will have varying specific needs, but one incapacity planning document that everyone should have in place is a living will. 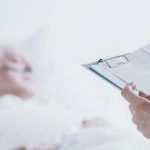 When you are looking into the subject of estate planning you may hear the term “advance directives for health care” used. These are legally binding documents that are used to prepare for the possibility of incapacity. A living will is one of these advance directives for health care. The issue that is at the root of living wills is that of the utilization of artificial life support measures like ventilators and feeding tubes. If you don’t have a living will your next of kin is going to be asked to make the decision for you with regard to the use of life support. There are a few different reasons why this is something that should be avoided. For one, you probably have your own preferences. Why leave anything up to chance? Beyond this, asking someone else to make this type of decision is really not fair. This is a personal decision, and it is something that each person should decide on his or her own. In addition to this, family members may not concur with regard to the appropriate course of action. This can lead to acrimonious interactions during a time when emotions are running high. When you execute a living will you can be certain that your own choices will hold sway if you do in fact become incapacitated at some point in time. Your entire family will know what you have decided, and there will be no cause for any disagreements among those that you love. If you are currently going through life without a living will or any other advance directives for health care you are doing yourself and your family a disservice. The matter can be resolved quickly and efficiently by arranging a consultation with a licensed Hartford estate planning attorney. Your lawyer will explain everything to you in detail and make sure that you have the appropriate legal devices in place.